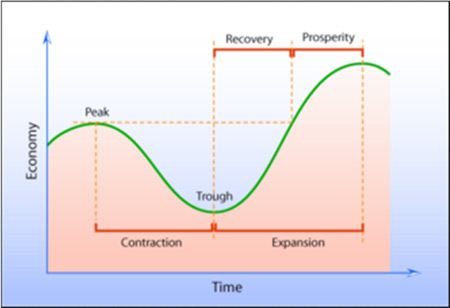 In an old-style economic cycle, recessions triggered bear markets. Economic contraction slowed consumer spending, corporate earnings fell, and stock prices dropped. 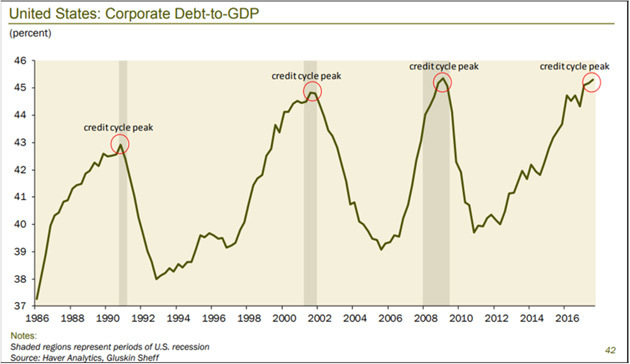 That’s not how it works when the credit cycle is in control. Lower asset prices aren’t the result of a recession. They cause the recession. That’s because access to credit drives consumer spending and business investment. 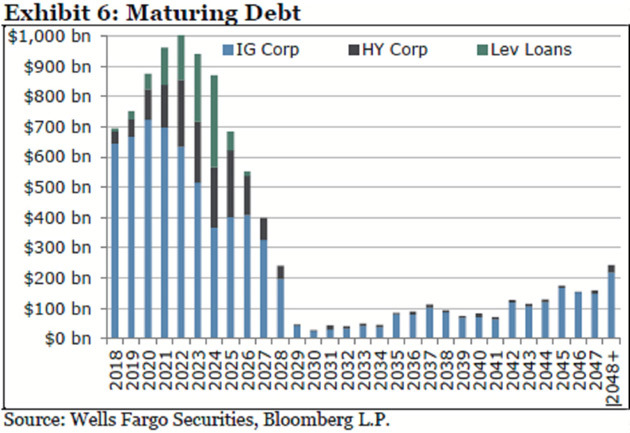 To make matters worse, many of these lenders are far more leveraged this time. They bought their corporate bonds with borrowed money, confident that low interest rates and defaults would keep risks manageable. In fact, according to S&P Global Market Watch, 77% of corporate bonds that are leveraged are what’s known as “covenant-lite.” We’ll discuss more later in this series, but the short answer is that the borrower doesn’t have to repay by conventional means. The problem is that much of the $2 trillion in bond ETF and mutual funds isn’t owned by long-term investors who hold maturity. When the herd of investors calls up to redeem, there will be no bids for their “bad” bonds. But they’re required to pay redemptions, so they’ll have to sell their “good” bonds. Remaining investors will be stuck with an increasingly poor-quality portfolio, which will drop even faster. Wash, rinse, repeat. 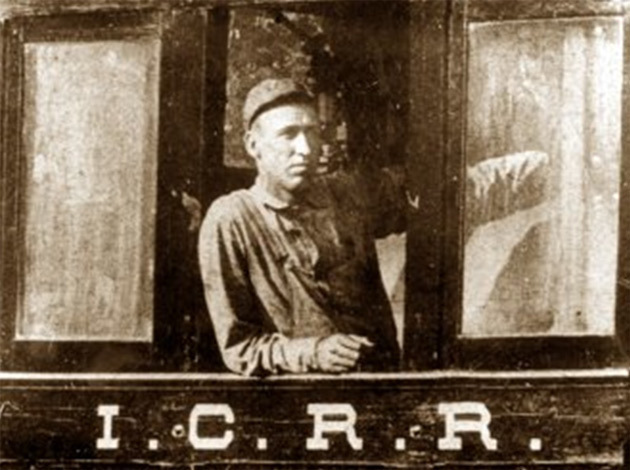 Traveling at 75 miles per hour, Jones ordered his young fireman to jump, pulled the brakes hard, and blew the train whistle, warning his passengers and the other train. Later investigations found he had slowed it to 35 mph before impact. Everyone on both trains survived… except Casey Jones. Right now, the US economy is kind of like that train: speeding ahead with the Fed only slowly removing the fuel it shouldn’t have loaded in the first place and passengers just hoping to reach our destination on time. Unfortunately, we don’t have a reliable Casey Jones at the throttle. We’re at the mercy of central bankers and politicians who aren’t looking ahead. They can’t simply turn the steering wheel. We are stuck on this track and will go where it takes us. About ten years ago, I began experimenting with voice recognition technology. For the first few years the software just wasn’t “ready.” Then about four years ago, Nuance came out with a greatly improved version which has since gotten even better. The new Dragon Professional 15 is amazingly flexible with top-of-the-line recognition accuracy. I don’t often endorse products, but I am so thoroughly satisfied with Dragon that I am comfortable this time. I arranged for Nuance to offer an exclusive 50% discount to my readers that you can access here. If you are a serious writer or simply prefer to answer emails by voice, this is an amazing productivity tool. And it can do so many other things as well. THE narrow streets of San José de Lourdes, on Peru’s border with Ecuador, were jammed on May 10th for a once-in-a-lifetime event. 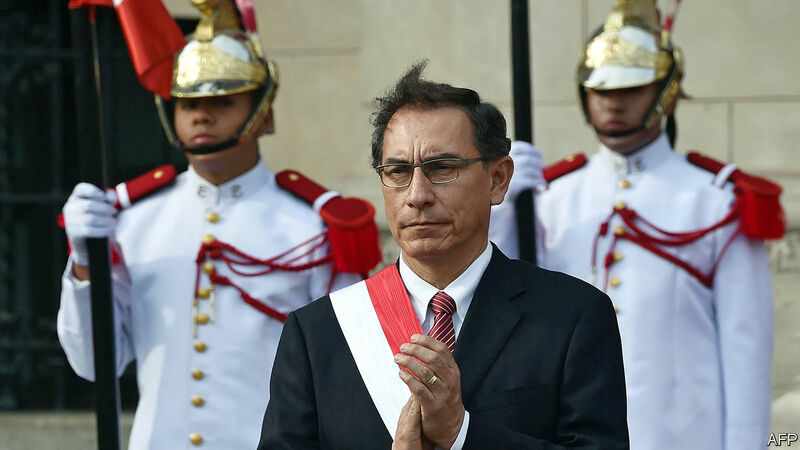 Martín Vizcarra (pictured) was the first president of Peru to visit the sweltering town, which was founded nearly 75 years ago and then, it seems, promptly forgotten. Schools in San José de Lourdes lack windows and running water. No doctor has visited the health clinic in three years. 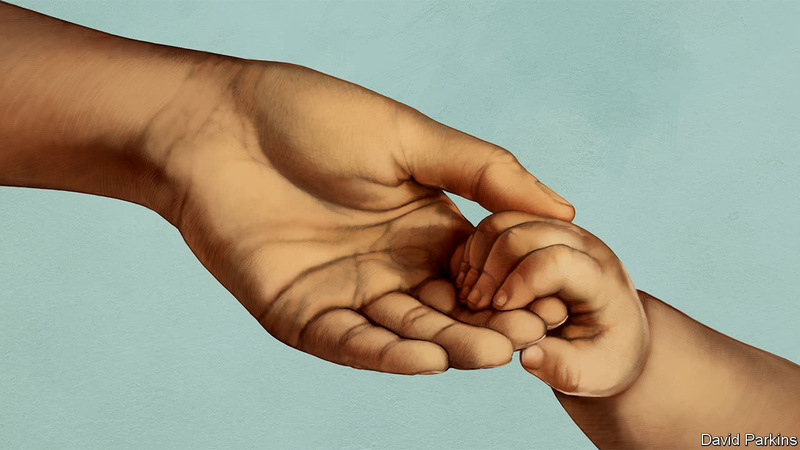 The poverty rate of around 60% is nearly three times the national average. Cars cross the Chinchipe river on a pulley-drawn platform, sometimes waiting days for passage. The town’s previous mayor is in prison on corruption charges. Mr Vizcarra’s visit is part of a frenetic travel schedule that he began after his unexpected elevation to the presidency in March. He heads to the countryside at least once a week. In Lima, the capital, he shows up unannounced at schools and hospitals. Part of the point is to show that he is nothing like his predecessor, Pedro Pablo Kuczynski, who resigned to avoid impeachment in a conflict-of-interest scandal. The former president is urbane, polyglot and out of touch. Mr Vizcarra, an engineer by training, is “provincial and proud of it”, says John Youle, a consultant in Lima. The new president has two priorities. The first is to restore Peruvians’ faith in government and democracy, which has been weakened by Mr Kuczynski’s scandal and by allegations or charges against four other former presidents. “We need to rebuild trust by showing that public management can be done transparently and honestly,” says Mr Vizcarra. His second goal is to boost economic growth, which is too slow to continue the recent progress Peru has made in reducing poverty. In 2017 GDP growth dropped to 2.5% from 3.9% in the previous year and the poverty rate increased. The government has cut its forecast for growth this year from 4% to 3.6%. With more public and private investment, “we will expand the economy, create jobs and fight poverty,” he promises. Though keen to show that he understands people’s problems, he does not offer quick and easy solutions for them. In San José de Lourdes he spurned a waiting pickup truck to walk from site to site, cuddled a newborn baby at the clinic and placed a cornerstone for a bridge across the Chinchipe. But to pupils who lobbied for computers at their school he counselled patience. “Before we can think about computers, we have to provide water, electricity [and] bathrooms,” he told them. That will not be easy. The biggest party in congress is Popular Force, led by Keiko Fujimori, the daughter of a former president, Alberto Fujimori, who was jailed for human-rights crimes. Her implacable opposition to Mr Kuczynski helped topple him. The new president must get on better with her. Some well-wishers fear that Mr Vizcarra, a micro-manager with little national experience, will be hamstrung by fujimoristas intent on preventing the institutional reforms he hopes to make. “We are going to talk to all parties and leaders to show Peruvians that the country comes before us,” he says. On May 2nd congress gave his cabinet a vote of confidence. The government has asked congress for decree powers in six areas, including taxes, political reform, infrastructure and corruption. One proposal is to publish the banking and tax records of any candidate for public office. A new “public-integrity office” under the prime minister, César Villanueva, will oversee anti-corruption policies. Part of its job will be to implement 100 anti-graft recommendations from a body set up by Mr Kuczynski who, to the chagrin of campaigners, largely ignored them. To counter the slowdown in economic growth Mr Vizcarra hopes to unblock some $10bn of private investment, much of it in mining projects stalled by farmers and environmental groups. “Peru is a mining country, but we need to do things differently from the past,” he says. That means creating “consensus around advantages and benefits” of projects. Mr Vizcarra can claim to have done this before. As governor of Moquegua, a southern department, from 2011 to 2014, he “knocked mayors’ heads together” to advance the planned Quellaveco copper mine, says Mr Youle. Mr Vizcarra, who says he will not run for re-election, has just three years to convince voters that a moderate president can clean up government and revive social and economic progress. If he fails, Peru’s sour-minded voters may offer the next chance to someone less committed to pragmatism and democracy. The EU Commission this week released its proposed budget for 2021-2027, and with it, likely another round of dissension between Brussels and two of the EU’s most rebellious members, Poland and Hungary. The budget, which will be hotly debated over the next few months, if not years, proposes linking EU cohesion funding – which supports economic development and investment in member states – to certain conditions such as the acceptance of refugees. The commission separately proposed another mechanism that would tie access to EU funds to countries’ respect for the rule of law. In recent years, Brussels has repeatedly accused Hungary and Poland of violating EU norms and regulations, and these new measures are meant to compel members to fall in line or face financial consequences. But the EU’s ability to implement them, and therefore compel members to comply, is limited. If anyone has the power to force members to change their behavior, it’s Berlin, not Brussels. The discord between the EU and Poland and Hungary came to a head following Europe’s migrant crisis in 2015. In an effort to spread the burden of taking in large numbers of refugees, member states were assigned quotas for the number of refugees they had to resettle. Hungary and Poland, as well as the Czech Republic, refused to comply with the quota scheme. Poland stopped accepting refugees after December 2015; Hungary had refused to accept the quota system from the very start. In response, the European Commission referred all three states to the European Court of Justice late last year. Brussels’ criticism of Poland and Hungary also involves some measures the two countries have taken over the past several years. Judicial reforms undertaken in Poland threaten the rule of law by allowing the government to interfere in the judiciary, or so Brussels has alleged. The EU has meanwhile criticized Hungary for violating freedom of expression for crackdowns on foreign-funded nongovernmental organizations and other institutions like the Central European University, which was threatened with forced closure. If the EU wants to pressure these countries to change their behavior, threatening to cut funding, which is used for public investment in things like infrastructure and to support private sector development, is the best option at its disposal. Indeed, Poland and Hungary have both benefited from the EU’s structural funds since joining the union. In 2016, EU funds were 4.2 percent of Hungary’s gross national income and 2.1 percent of Poland’s. By the end of the 2014-2020 budget period, Poland is set to receive 100 billion euros ($120 billion) in structural, agricultural and other EU funds, the most of any EU member state. The problem for the EU is that its voting structure makes it difficult to pass punitive measures. The proposed budget for 2021-2027 requires unanimous approval, and Poland and Hungary are likely to vote against any measures that punish states for their refusal to accept refugee quotas. Taking this into account, the European Commission is also separately seeking the authority to halt future payments to member states whose judiciaries are deemed to lack independence, arguing that cases of fraud or wasteful public spending would be hard to investigate. This measure would require the support of a qualified majority in the European Council – 55 percent of member countries and 65 percent of the EU population. Yet even a qualified majority will be difficult to win because other member states that receive substantial EU funds will likely join Poland and Hungary in opposing the reform. With no other means of restricting access to structural funds, the EU’s options for reining in its disobedient members through regulation are limited. But the EU may not need to use regulations at all. The EU’s de facto leader, Germany, has also been critical of the EU’s rogue members. Its economic well-being is dependent on the EU’s remaining intact, and it needs all members to fall in line to guarantee that that happens. And unlike the EU, Germany has substantial economic leverage over these states – except its hands aren’t tied by the unanimity requirement. Germany’s leverage comes from the fact that the economies of Poland and Hungary are closely linked to Germany’s. In 2016, roughly a quarter of Poland’s and Hungary’s imports and exports came from and went to Germany. This is important, considering exports made up 52 percent of Poland’s gross domestic product that year and a staggering 89.5 percent of Hungary’s. Both countries are home to subsidiaries of German companies and are a key part of the German supply chain, mainly thanks to their relatively low labor costs. Germany is also a large investor in both countries. In 2016, 24 percent of foreign direct investment in Poland and 26.7 percent in Hungary came from Germany. If it wanted to, Germany could threaten to cut investment, strain business ties and reduce the volume of trade. The real confrontation here is not between the Poland and Hungary on one side and the EU on the other. It is between Poland and Hungary and Germany. For Poland and Hungary, the threat of economic consequences for noncompliance is very real, but it comes not from Brussels but from Berlin. Those who can get to see a doctor often pay a crippling price. More than 800m people spend over 10% of their annual household income on medical expenses; nearly 180m spend over 25%. The quality of what they get in return is often woeful. In studies of consultations in rural Indian and Chinese clinics, just 12-26% of patients received a correct diagnosis. 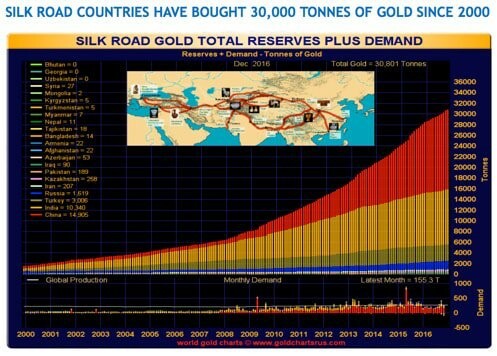 And expect this project to be a major factor in bringing about what Doug Casey and others believe could become the greatest commodities bull-run that most of us now living are going to see. And now, China has officially launched a petro-yuan contract at the Shanghai International Energy Exchange. It marks the first-time overseas investors have been able to access a Chinese commodity market – in this case an oil futures contract – that can be settled, not only with U.S. dollars, but also Chinese Yuan - and eventually gold. That means China’s vast array of trade partners will be able to convert yuan into gold without having to keep funds in Chinese assets or turn them into U.S. dollars... Still, the whole petrodollar edifice lies on OPEC – and the House of Saud– pricing oil in U.S. dollars; as everyone needs greenbacks to buy oil, everyone needs to buy (spiraling) U.S. debt. Beijing is set to break the system – as long as it takes. China’s vast array of trade partners will be able to convert yuan into gold without having to keep funds in Chinese assets or turn them into U.S. dollars. It’s a straight-up way to bypass the buck. And what if Saudi Arabia – among China’s largest oil suppliers – agrees to accept yuan instead of dollars? It’ll be a bomb-down-the-funnel for U.S. dollar hegemony in the world. The bottom line is gold is nearing a major bull breakout above $1365. That will turn psychology bullish and bring traders back in droves. Gold is rallying ever closer to new bull-market highs as evidenced by its massive multi-year ascending-triangle chart pattern now nearing a bullish climax. Back in 2005 a reporter took a tour of General Motors’ headquarters, and in the resulting article one thing stood out: The executives and engineers the reporter interviewed were only modestly enthused about their sedans and sub-compacts. But they really liked talking about their expanded line of Hummers. Now fast forward to this week, when conditions are similar to those of 2005. Gas has been relatively cheap for a few years and Americans – always ready to extrapolate short-term trends into the indefinite future – only want SUVs and pickups. So Ford is adopting the GM strategy of betting its corporate future on continued cheap gas and profligate customers. (CNN Money) — Car buyers these days love SUVs. They don’t, however, love actual cars like hatchbacks and sedans – as Ford has learned. Ford said on Wednesday the only passenger car models it plans to keep on the market in North America will be the Mustang and the upcoming Ford Focus Active, a crossover-like hatchback that’s slated to debut in 2019. That means the Fiesta, Taurus, Fusion and the regular Focus will disappear in the United States and Canada. Ford will, however, continue to offer its full gamut of trucks, SUVs and crossovers. By 2020, “almost 90 percent of the Ford portfolio in North America will be trucks, utilities and commercial vehicles,” the press release says. Ford has hinted it might decide to retire much of its sedan portfolio. Earlier this year, James Farley, the company’s president of global markets, said Ford is “shifting from cars to utilities,” which have been a bigger profit driver. It also reallocated $7 billion of research funds from cars to SUVs and trucks. And it’s not just Ford. Fiat Chrysler did away with the Dodge Dart and Chrysler 200 more than a year ago. And General Motors decided to scale back production of the Chevy Cruze, Chevy Impala, Buick LaCrosse and the Cadillac ATS and CTS. The conclusion: Detroit may have handed short sellers yet another sure thing.